The COROT (COnvection ROtation and planetary Transits) satellite has two main goals: study the interior of stars by looking at their oscillations and seach for extrasolar planets by detecting planetary transits. 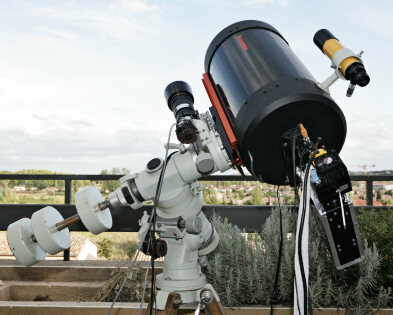 The 30-cm telescope of COROT will be pointed alternatively towards the galactic center and anticenter. Bright Be stars can therefore be observed either as secondary targets asteroseismology in long runs or as short run targets. 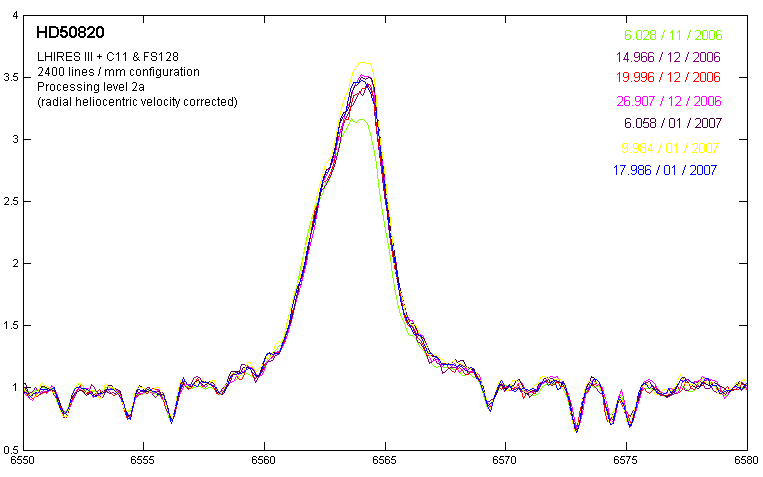 COROT can detect pulsations in Be stars, especially multiperiodicity and beating periods in early Be stars and low-amplitude pulsations in late Be stars (see Y. Frémat & all, A&A 451, 1053 (2006) and C. Neiner & all, ApJS, 152, 237 (2005)). The present survey concern the spectroscopic observations by amateurs of candidates Be stars located in the seismology fields. Regular observations of the spectroscopic activity of these stars are programmed before and after the launch of COROT satellite. 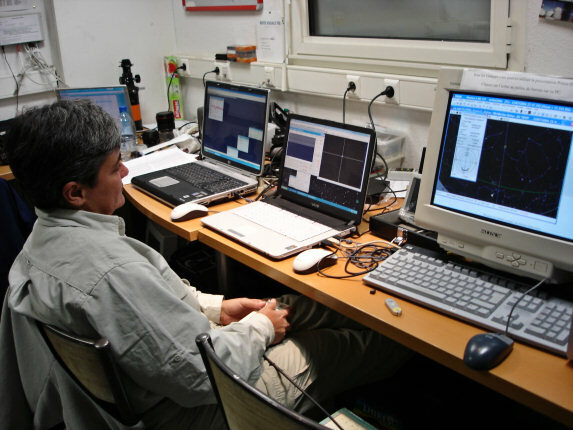 The idea of the survey by amateurs was impulsed by Coralie Neiner (GEPI - Observatoire de Paris-Meudon) during the Astrophysics School of La Rochelle 2006 (CNRS). 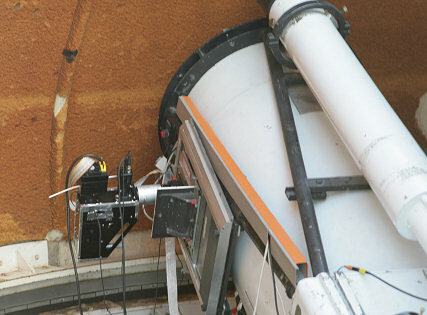 The program coincide with the availability of has powerful instrument for the amateur community, the spectrograph LHIRES III (see description here). LHIRES III is an ARAS project (Astronomical Ring for Access to Spectroscopy). 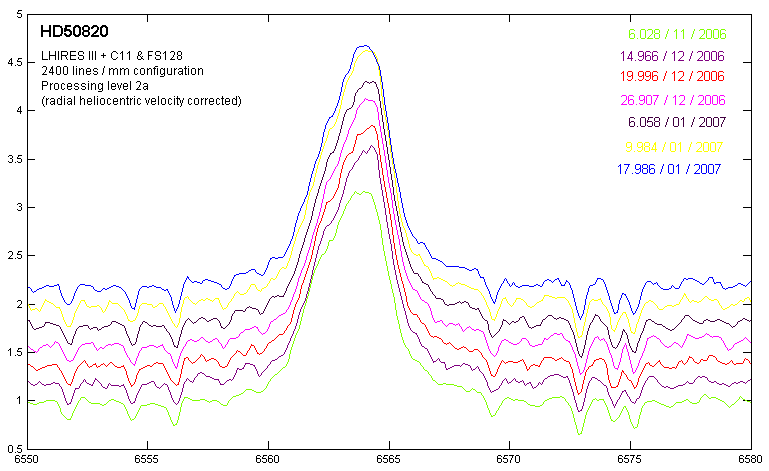 The stars of this sample forms a subset of a large long term program of Be stars observations (see here). The data of the run were obtained with the LHIRES III spectrograph at the medium resolution of R=7000 (1200 lines/mm grating). 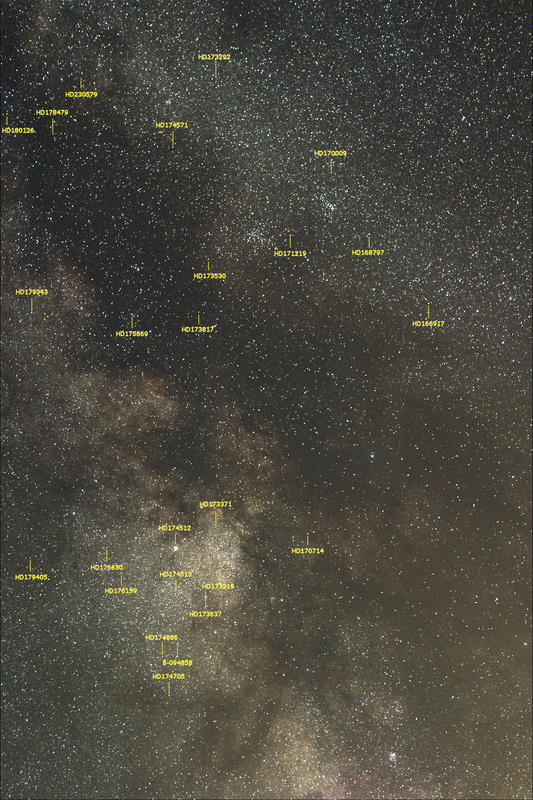 The spectroscopic observations where conducted on a 0.28 m telescope located near Toulouse city, south of France (Castanet-Tolosan observatory) and the 0.60 m Gentili telescope of the Pic-du-Midi observatory (Observatoire Midi-Pyrénées). All the selected galactic center Be stars targets are observed during the run (see the list of candidates Be stars secondary targets of COROT mission). The present wavelength intervals cover the Ha line and the He I 6677 A line. The data are reduced by using LHIRES III standard procedures (SpIRIS and VisualSpec softwares). The control room of the 0.60 m telescope. The spring 2006 run team. From left to right, Michel Pujol, Valérie Desnoux, Christian Buil. 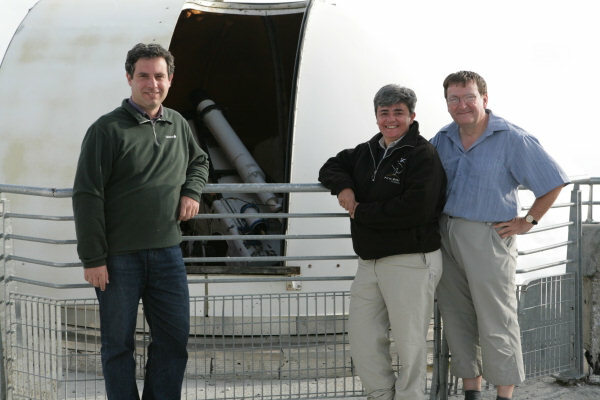 Click here for more details about the spring 2006 Pic-du-Midi mission. during the run#1 mission at the Pic du Midi observatory. Click on the image for enlarge.